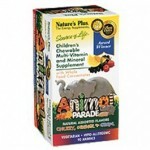 Some products are specific for infants or children. This is because the tolerance of children to quantities of herbs or nutrients, or because of the immaturity of certain organs (e.g. gut and their flora). The demand for different levels of nutrient during growth and maturity of body systems also are factors. Their immune system is more sensitive because the adaptive immune system has not confronted and programmed itself to deal with certain common diseases or pathogens. The challenge to someone’s immune system from vaccinations is more likely for children. The additions of vitamins, and specific probiotics, can provide greater immunity and appropriate preventative health protection. Whilst traditionally many herbs have been used to provide remedies for children (but at reduced dosage) the current regulations for over the counter herbal remedies are more restrictive. Most herbs are not approved or recommended for pregnancy because of the lack of research into their effects on the mother or foetus. Products are often available that allow for the difficulties that children have with swallowing or consuming a capsule or tablet- liquid form or child-friendly chewable tablets may be available. It is well established that providing children with a broad range of nutrients through diet, minimising chronic health issues and optimising general wellness can improve health prospects later in life.